It is cost friendly option to switch to Whatsapp from the general messaging services like SMS as it is free. It will enable you to save a lot of money on the first year. Whatsapp messenger gives you free services for a year. Whatsapp is gradually taking the place of sms, mms, video sharing and voice messaging. If you are still unaware about the application of Whatsapp then you should know that it is a smart phone messenger services that works on Nokia devices. With the help Whatsapp messanger it is possible to send text, pictures, messages, voice notes and videos to near and dear ones. 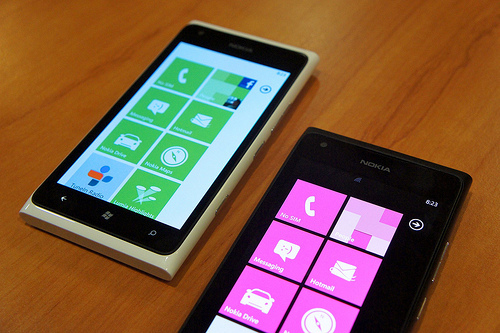 Almost all the phones from Nokia is supported by Whatsapp. It is available also for Symbian OS phones from Nokia and yes, you can also avail Whatsapp on S60 and S40. If you have a Symbian phone (or you have any trouble installing Whatsapp on your Nokia) click here to follow this step-by-step guide for Symbian and Whatsapp. Before downloading Whatsapp please also remember that it’s better to have unlimited internet data plan card in order to download and (regularly) use Whatsapp on your Nokia devices. Also, it is better not to download the Whatsapp from Ovi store as it is old and frozen. You can go in to web in order to find a perfect site to download Whatsapp on your Nokia devices. 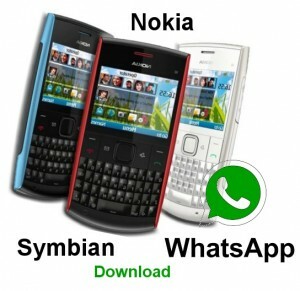 There are various sites in the web that provides Whatsapp for the Nokia mobile user. You need to choose a site according to your needs. It is important to know if your Nokia device supports this smartphone messaging services Whatsapp. You should always download the latest version of the Whatsapp available in the market. After the completion of the download you just have to tap on the devices in order to insert the file name. It is always to follow the instruction on the screen after that. You can also update Whatsapp in order to solve various problems regarding this messaging service to include new features and without removing the app from your handset (beware that if you remove it while it’s updating you can lose your entire chat history). To update Whatsapp on Nokia devices you need to go to options, then setting and finally follow the instructions on the screen to get the update properly. How do I use Voice Messaging on my Nokia? – To send a Voice message: Tap and hold on the Voice Message button: for touch smartphone the button is a microphone replacing the Send button on the chat screen while if you have a physical keyboard, click the Center button. – To cancel a Voice Message with Whatsapp: if you have a touch screen phone, slide on the screen, otherwise click the “End Call” button . – Receiving a Voice Message: tap the Play button to listen, you will see an option to switch from Speaker to Earpiece, the green microphone icon next to the messages means you’ve not listened to it while the blue microphone icon means that you’ve already listened to the voice message.